A blockbuster in its native Korea, where it would go on to become the country’s most successful independent film of all time, MY LOVE, DON’T CROSS THAT RIVER presents an unforgettable story of true love that transcends both generations and cultures. “100-year old lovebirds,” Jo Byeong-man and Kang Kye-yeol, have been inseparable companions for 76 years. Observing this fragile couple for 15 months, director Moyoung Jin acts as a fly-on-the-wall, capturing the tender moments of their twilight days as the two face the inevitable reality that their time together will soon be approaching an end. 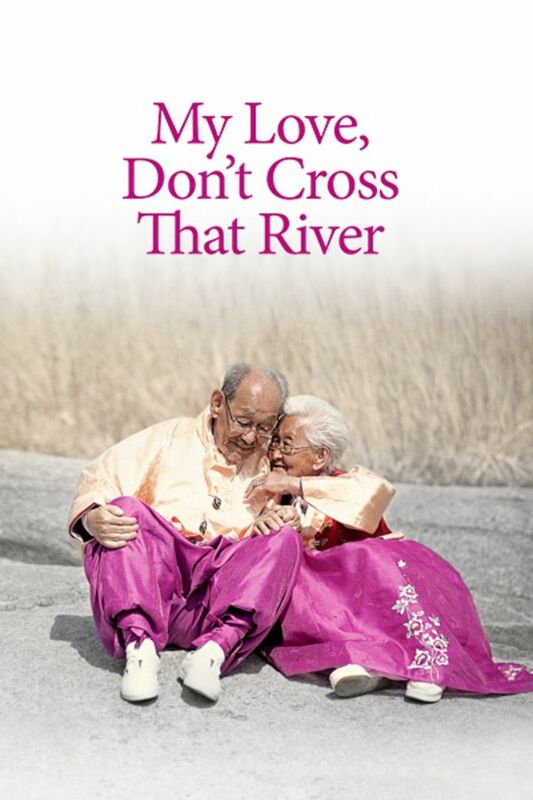 An intimate portrait of an elderly couple in South Korea, MY LOVE, DON’T CROSS THAT RIVER delicately captures their twilight days with tender moments that reveal simple acts of affection - from a good-natured leaf fight to a gentle caress of the cheek. This is such a heartwarming and heartbreaking story..a well written and a well told love story for the ages..get your tissues ready! I’m weeping~ a beautiful film. I fell in love with “hubby”, his bride, their dogs, their deep quiet childlike wonder of one another. Their love. A simple life. A fulfilled Life. Thank you for sharing this gift. Adorable couple, (annoying children, though! ), beautiful, touching film.